As he sits in his desk chair in a room affectionately known as “the dawghouse,” Al Hatcher looks around his eclectically decorated room with its red and black walls, painted in tribute to his alma mater, the University of Georgia. What he sees is a room filled with memories, memories of bitterly fought political campaigns, his cherished family and old friends. After nearly a half century of public service, Al Hatcher is retired now. Gone are the long nights awaiting election returns. The weekly commutes to Atlanta are no more. But the memories remain. There are the stories, too, tales of the days when politics wasn’t just an art, it was a science. Albon Lee Hatcher, Jr. was born in 1929 in Dublin, Georgia. His father, Al, Sr., a 1925 graduate of the University of Georgia, moved to Dublin to open his practice, which included a term as City Attorney of Dublin and as a deputy assistant attorney general under Eugene Cook, an old family friend from Wrightsville, who served as Georgia’s Attorney General longer than any other man, before or since. If you ever noticed it, his name was painted on one of the windows of the Hicks Building in Dublin, where it remained until recently when it was removed and given to Al by the building’s owner, Dubose Porter, in appreciation for Al’s service to our state. Al’s grandfather, Alonzo Lee Hatcher, who was the first of four Hatcher family graduates of the University of Georgia, was a delegate to the 1912 Democratic Convention, a Georgia State Representative and a Judge of the City Court of Wrightsville. Stephen Stincer, Hatcher’s grandson, recently graduated from the University of Georgia. He now attends law school there. “He just finished writing his first opinion. I am extremely proud him,” says Hatcher of his grandson, who is clerking under federal court judge, Avant Edenfield. Al attended Georgia Teacher’s College in Statesboro in the late 40s. In 1952, he took a job as a “reading clerk” under the tutelage of Joe Boone of Toomsboro, longtime Clerk of the Georgia House of Representatives. “Back then, every bill passed in the House of Representatives had to be procedurally sent to the Senate,” said Hatcher, whose job it was to knock on the door of the Senate, be recognized by the door keeper, and run down the aisle to front of the chamber where he would bow down and read the caption of the bill and present it to the Lieutenant Governor, the presiding officer of the Georgia Senate. In 1956, Al Hatcher graduated from the University of Law School. He never took up the practice of law, but chose instead to work in the insurance adjusting business in Brunswick, Georgia, a move which led to his true calling in life. “I was in Brunswick and managed Peter Zack Geer’s 1962 campaign for Lt. Governor locally. He was impressed by the way I handled his campaign and asked me to be his campaign manager for the entire state. We worked almost eighteen hours a day,” Hatcher remembered. Peter Zack Geer won the democratic primary in September 1962 for Lieutenant Governor, which was tantamount to election. The old county unit system was abolished by the courts. Laurens County had four units and two representatives, Johnson county had two units and one representative. The House of Representatives had to be reapportioned under the one man one vote rule. The same thing happened in the Senate, where the number of senators was increased from 54 to 56. Another election was held on October 16, 1962, and qualifying reopened. Also that year, a young peanut farmer from South Georgia contested the election in Sumpter County. His district encompassed Sumter, Terrell, Quitman, Clay Counties and maybe two or three smaller counties. The reason for the contest was that they had many absentee ballots, where dead folks voted, all whom voted in exact alphabetical order in Georgetown. The farmer won the election and was the last Senator to be certified to office. Peter Zack Geer, as the newly elected Lt. Governor, had the power of committee appointments. Geer consulted with Al, his chief aide, on the appointments to senate committees. The Sumpter County farmer called Al and met him in the Lt. Governor elect’s office in the William Oliver Building. “All of the committees had already been selected. He said that he was interested in education and requested that he be put on the committee,” Al recalled. “Instead, Geer created a new committee the House Higher Education Committee and named the Plains farmer as its first chairman. As a state senator, the farmer helped to develop higher education in Georgia, including Georgia Southwestern College in Americus,” Al continued. By now you have guessed just who that farmer was. Yes, it was Jimmy Carter, a future Governor of Georgia and President of the United States. Hatcher looks back fondly on his days as a chief aide to Lt. Gov. Geer. “Carl Sanders, the new governor, and Lt. Governor Geer worked well together. That wasn’t always the case.” Lt. Gov. Geer developed Georgia’s first Administrative law code,” said Hatcher. Just at the back of his ancestral home, a home which he lives in today, was the Ingram home. “My best friend was Conley Ingram,” Al fondly recalls. We were in the same class and he was the best marble shooter in Dublin without a doubt,” Al continued. Conley, a son of George and Nan Ingram, left Dublin to attend Georgia Military College, where he and Al roomed together in the 10th and 11th grades. Conley managed Geer’s campaign in Cobb County, which brought him to the forefront of state politics. Ingram became a Juvenile Court judge, Judge of Superior Court, and a Justice of the Georgia Supreme Court, being appointed by Gov. Jimmy Carter, for whom he had actively campaigned for. When Senator Richard Russell, one of the political icons of Georgia history, died and Governor Carter had to make an appointment to replace him, his three choices were former governor, Ernest Vandiver; David Gambrell, who married Luck Flanders of Swainsboro, and Conley Ingram. Gambrell was the one selected. During the 1966 Georgia governor’s election, former governor and leading democratic candidate, Ernest Vandiver became ill and was forced to withdraw. Into the open field of candidates came Ellis Arnall, who had been governor from 1942-46. Speculation was rampant as to who else was going to announce their candidacy. Vandiver went to Washington to see Herman Talmadge to see if he would run for governor. Talmadge ended all speculation after 72 hours, declining instead to remain in Washington, where he would be a more effective leader in the United States Senate. Jim Gray, the editor and publisher of the Albany Herald announced. Fellow south Georgian, Jimmy Carter, threw his hat into the ring. Then came the incomparable and irrepressible, Lester Maddox. Peter Zack Geer decided not to run. What followed was a very bitter campaign, which ended in a run off. Ellis Arnall and Lester Maddox were the top two vote getters. Lester Maddox won the runoff, but didn’t get a majority of the votes. Ellis Arnall offered himself as a write-in the general election. Bo Calloway was the Republican nominee. Georgia required that a governor get a majority of the votes. “Bo got the most votes, but not a majority. Arnall garnered about 75 to 80 thousand votes. It was then up to the General Assembly to name the next governor. 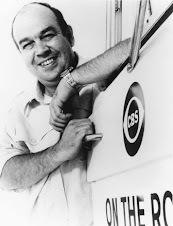 All three television networks were present and covered the deliberation for part of that afternoon,” Al remembered. When Peter Zack Geer, still the presiding officer of the Senate ruled Rep. Harris of Brunswick’s motion to have a new election out of order stating it was the assembly’s constitutional duty to elect a governor and that’s what they were going to do, the election of Maddox, the democratic candidate in an assembly dominated by democrats, was assured. After the general assembly’s elected Lester Maddox governor, Hatcher went to the rostrum and called the governor’s office to tell Gov. Sanders that they had elected a governor. Superior Court Judge Harold Ward, of Dublin, was there in the governor’s office that day and was called down to swear Gov. Maddox in. Al Hatcher’s term as Lt. Governor Geer’s aide came to an end that day as a new lieutenant governor was also sworn in. But his life in state government was not over, it was just beginning. Hatcher served as Deputy Insurance Commissioner of Georgia from 1967 to 1970 under the Maddox administration. For fifteen years beginning in 1975 and ending in 1989, Al Hatcher served as a senior field deputy for the Georgia Department of Labor during the administrations of George Busbee and Joe Frank Harris. In 1989, Al Hatcher was chosen to be the Director of Transportation for the Georgia Public Commission. One of the members on the commission was Billy Lovett, who grew up just around the corner from Al’s home. This wasn’t Al’s only neighbor who was involved in state government. In addition to Justice Ingram and Commissioner Lovett, there was Hardeman Blackshear, who lived across the street. Blackshear served as Deputy Comptroller General at the same time that Hatcher was serving as Deputy Insurance Commissioner. Next door to Hatcher’s home is the old Hardwick/Peacock, where for a brief time before Al was born was the home of Gov. Thomas Hardwick, who was a former United States congressman and senator and who appointed Rebecca Lattimer Felton as the country’s first woman senator. At the other end of the block lived Peyton Wade, who was a Chief Judge of the Georgia Court of Appeals. During his time out of state government, Al worked as a developer of shopping malls and apartment complexes. He developed Hatcher Point Mall in Waycross and Hatcher Square Mall in Milledgeville, as well as Williamsburg Village, Dublin’s first true modern day shopping center. Among his other projects are the Beechwood Apartments in Athens, the Tumlin Woods Apartments, also in Athens, and the Holly Hills Apartments in Dublin, one of our city’s first two story apartment complexes. About six years ago, Ernest Vandiver , who had been governor of Georgia from 1958 to 1962 and who had as his executive secretary, Peter Zack Geer, was visiting the Golden Isles of Georgia. During his administration, Vandiver had the insight to purchase Colonel’s Island near Brunswick. Today it is the one of the biggest ports of entry of cars in and out of the United States. Hatcher remembered, “ Governor Vandiver rode over there and they wouldn’t let him on the island. He came back to the King and Prince Hotel, where he joked about what had happened, especially in light of the fact that it was his administration which had helped acquire the island.” Hatcher talked with Bobby Rowan, the chairman of the House properties committee, and Hugh Gillis, who in Hatcher’s opinion was the best senator Georgia ever had, and told them of the dilemma. Senator Gillis offered the bill to name the facility Port Vandiver at Colonel’s Island. The resolution passed unanimously. During his thirty-five years of public service, Al Hatcher has been honored time and time again. He has been named the Outstanding Employee of the Labor Deparment. Gov. Joe Frank Harris named him as one of the states’ five outstanding employees in 1985. For his long and faithful service, Al was awarded the Governor’s Award for Outstanding Service in State government. As a businessman, Al has been named to Who’s Who in America for Developers. Halloween Day, 2001 was Al’s last day on the job. “I enjoyed the legislature the most,” but my work on the Public Service Commission regulating the safety of public transportation was so rewarding,” Hatcher says. Al has worked, directly or indirectly with ten governors of Georgia: Herman Talmadge , Marvin Griffin, Ernest Vandiver, Carl Sanders, Lester Maddox, Jimmy Carter, George Busbee, Joe Frank Harris, Zell Miller and Roy Barnes. “ I was closest to Senator Talmadge. When he ran his last senatorial campaign, the one he lost, he asked me to be his campaign manager,” Hatcher commented. Al declined his offer, but wondered, “what if I had accepted the senator’s offer, would I, could I have made a difference in the election in which Talmadge suffered a heart wrenching and razor thin loss?” There is one corner of his room dedicated to the governor he admired the most. If you closely look you will see an inscribed picture of Al with senator and astronaut John Glenn. In another corner are Al’s college diploma along with those of his father, and his grandfather. Still another corner is dedicated to Peter Zack Geer and a host of old friends from his days in politics. Last, but not least on the north wall of the old outbuilding of his South Calhoun Street home which he and his wife, Gay, call the “dawg house,” is a section dedicated to his beloved Georgia Bulldogs. It has been a wonderful life for Al Hatcher, but it is not over yet. He, as always, still enjoys his family, telling a story about politics and speaking fondly of good old friends. Theron Sapp was tired of losing to the Georgia Tech Yellowjackets. So was every other Georgia Bulldog player and fan in Georgia. 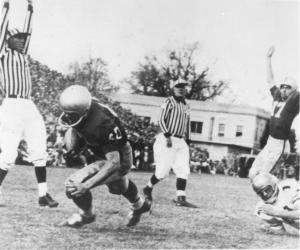 For eight years throughout the entire decade of the 1950s, the Georgia Bulldogs had lost to Georgia Tech. When the 1957 game looked as if it was going to end in a tie, Sapp took matters into his own hands and nearly singlehandedly defeated a stubborn Tech team, which was determined to continue its decade long winning streak. Theron Sapp was born on June 15, 1935 in Dublin, Georgia. His family lived in the Brewton community. His older brothers played six man football for Brewton High School in the years before World War II. One old timer, Judson Watson, said that the elder Sapps were much better football players than the younger Theron, who moved with his family to Macon in the 1940s. 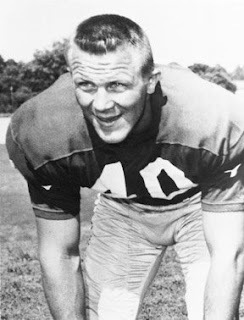 Theron played left halfback for the Lanier Poets from 1950 to 1953. In his senior season as an honorable mention all state running back, Sapp, wearing jersey number 13, played in the backfield with All-American back Billy Kitchens, and two other honorable mention backs, Johnny Stallings, and Sam Vickers, all of whom led the Poets to eleven consecutive victories before losing to Grady High in the state championship game. In the spring of 1954, Sapp dove into a swimming pool and cracked at least one of his vertebrae. His injury left his future football career in limbo. The doctors said that he would never play football again. Theron aggravated his injury that summer in the high school all star game. Georgia coach Wally Butts agreed to allow Theron to keep his scholarship and remain on the team, even if it meant that he would serve as a team manager. Sapp sat out his first season and missed most of his sophomore season after an injury relegated him to the number four spot on the fullback depth chart. In his junior year, Sapp recorded nearly six hundred yards rushing, the most by any Bulldog during the decade of the fifties. Despite Theron’s success on the ground, the team was far from successful. The Bulldogs won only two of eight games, while scoring only 86 points against their opponents who put 150 points on the scoreboard. Theron Sapp’s day of destiny was November 30, 1957. A cold wind was howling from a cold clear sky down unto Grant Field in Atlanta. Georgia, losers of eight straight games to Tech, were made last minute favorites by Jesse Outler of the Atlanta Constitution, who changed his prognostication of the game in Saturday’s paper in predicting that Georgia would win by a score of 7 - 0. Tech was also regretting a bad year with only four victories in nine games. Both teams battled to a scoreless draw in the first half. Georgia’s defense bent but didn’t break. The Dogs were determined to keep Tech away from their goal line. In the first series of the second half, Sapp, playing both ways, stopped a bourgeoning Tech drive at midfield by stopped Tech running back Faucette for a three yard loss. Faucette took the next handoff and fumbled. Sapp pounced on the ball to give the Dogs excellent field position right in the middle of the gridiron. Theron Sapp went on a personal mission - take the ball and ram it down the throats of the Tech defenders. Sapp ran for one yard. On third down he carried the pigskin down to the Tech 37 for a first down. After Jimmy Orr caught a Charley Britt pass at the 28 yard line, Sapp plunged for seven yards to the 19 yard stripe. Coach Wally Butts sent the word "give the ball to Theron." Sapp ran for three yards to the 16 and a first down. Then he scampered for seven yards to the nine. Sapp picked up another first down for the Dogs with a four-yard run to the five. After carries of three yards and one yard to the Tech one yard line, Georgia quarterback Britt tried a quarterback sneak. Tech’s goal line defense bowed their backs and held Britt to no gain. Then on fourth and goal from the one, Sapp took the ball from Britt, ran to the right, and powered his way into the Tech end zone, a feat not accomplished by a Georgia player in four years. Ken Cooper tallied the extra point to put the score at 7 - 0, just what Outler had predicted. All Georgia had to do was to hang on and victory was theirs - five agonizing minutes to go. The elusive win nearly vanished when Charlie Britt fumbled on his own 27 yard line. Once again, Theron was there to save the day. Sapp pounced on the ball, which allowed Georgia to gain one more first down as the clock dwindled down to less than two minutes. Georgia’s defense held. The drought was over. Furman Bisher, described the bedlam on the field: "Men kissed men. Women kissed women." Sapp’s teammates swarmed over their now immortal hero, whose ninety one yards on twenty three carries led the team to the oh so sweet victory. Sapp gave credit to Jimmy Orr and Ken Cooper for the blocks which allow him to gain the game winning score. Theron Sapp improved on his 1957 season with an even more impressive performance in his senior 1958 season. He led the Dogs with 635 yards rushing with an excellent rate of 5.6 yards per carry. Georgia defeated Tech again by a score of 16 to 3. Once again, Theron bowled over Tech defenders for 103 yards to grind out a second consecutive victory over Tech. The Dogs finished the year with a record of four wins and six losses, giving them the distinction of being one the most powerful losing teams in Bulldog history by finishing third in the conference in total offense and second in rushing yards. During his senior year, Sapp was named to the All SEC team. As the conference's second leading rusher, he won the William Jenkins Award. In post season play Sapp was named the outstanding player in the Senior Bowl and the outstanding back of the Blue Gray game. Theron Sapp was drafted by the Philadelphia Eagles. Sapp played second string halfback for the Eagles from 1959 to 1962. The Eagles, with Hall of Fame quarterbacks Norm Van Brocklin and Sonny Jurgensen, defeated Vince Lombardi's Green Bay Packers to capture the 1960 World Championship. Theron was traded to the Pittsburgh Steelers in 1963 when he enjoyed his best season with 453 yards rushing on 104 carries. An injury ended Sapp's career after three seasons with the Steelers in 1965. To the man who broke the drouth!"